The year was 1997, and audiences had two blockbuster volcano movies to choose from: "Dante's Peak," which was basically "Jaws" if the shark was an exploding mountain, and "Volcano," in which a giant volcano spewed forth lava in the heart of Los Angeles. Both films have their charms, but over two decades later people still argue over which disaster movie was, well, more explosive. In his latest article for IGN, William Bibbiani takes another look at "Dante's Peak" and "Volcano" to determine which film works better, and which film is more fun. The answers might not be the same! 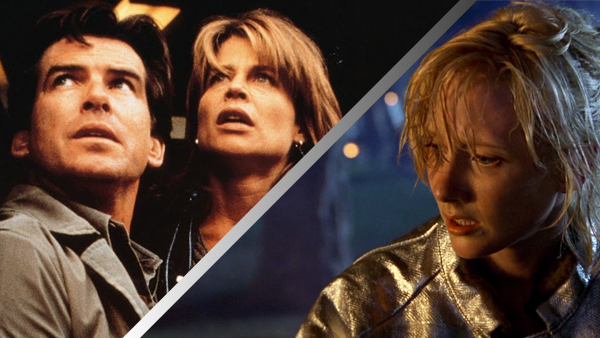 Read: "Volcano vs. Dante's Peak: Which Disaster Movie Was More Explosive?"